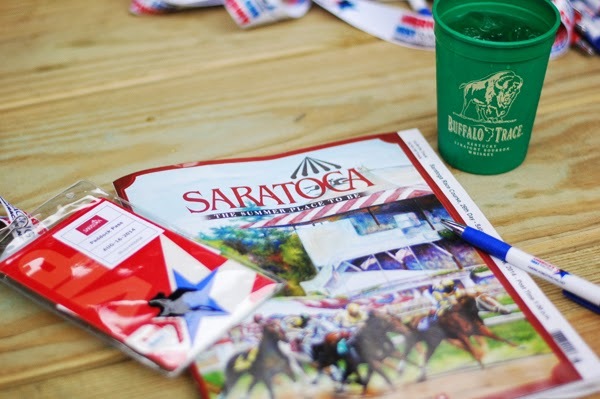 Earlier this summer, the crew over at America's Best Racing reached out to see if I'd be interested in learning more about horse racing and attending an event in the New York area. 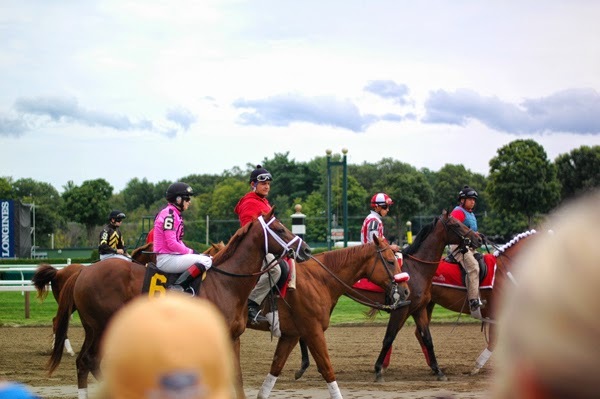 I grew up around horses—my mom saved her money to buy her first horse instead of a car when she was 15—and had seen a handful of races at a small track back home, but nothing on the scale that the tracks in New York can offer. 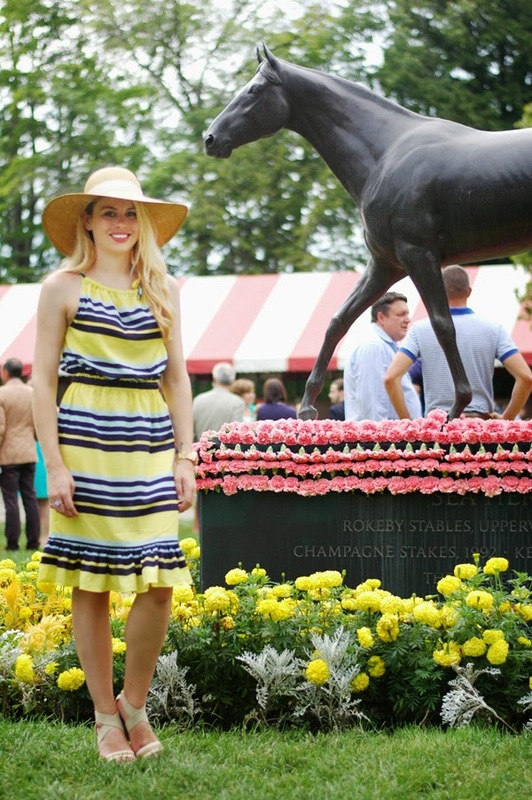 Since a day at the races means wearing a fun sundress and a big floppy hat, I couldn't say no! I also love a good reason to get out of the city and visit somewhere new, so since The America's Best Racing team has been in Saratoga all month for the last races of the season, a few other bloggers, racing lovers and myself hopped on a (very unexpected party) bus at the crack of dawn for the ride up north. It was a little cloudier than expected and stopped my photos from turning out quite as I'd hoped (not sure if I've mentioned it before but my dSLR is about a decade old! I bought it when I first started studying photography), but the upside was I didn't have to worry too much about a sunburn, although I did put on SPF 50+ before I left my apartment because that video over on Time is scary as f*ck. 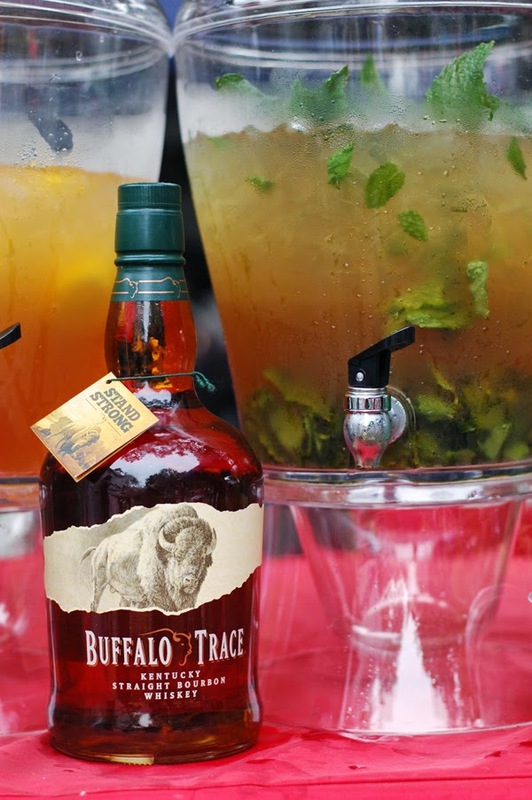 We wandered around the grounds, sipping cocktails from Buffalo Trace (because what's a horse race without some bourbon? ), taking in the older buildings and impressive track and even getting up close with some of the really crazy hats horses in the paddocks. There are still a few weeks left of races and if I wasn't heading back to Iowa for a while tomorrow, I'd be making a trip back up for another day (the beautiful views on the drive up don't hurt, either). Also, because I finally bet on a horse and won more than $.10, unlike my last experience at the racetrack. 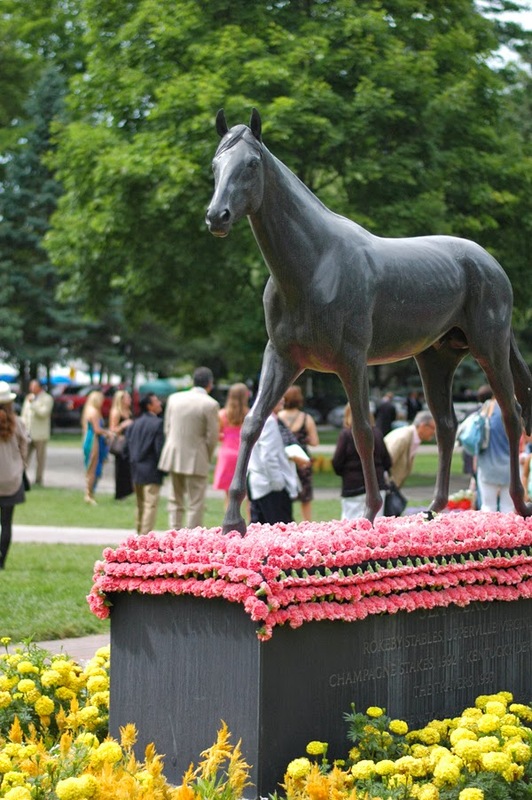 I knew nothing about horse racing, and was honestly afraid of horses, until I moved to Louisville. Now I love going to the track, especially around Derby time! 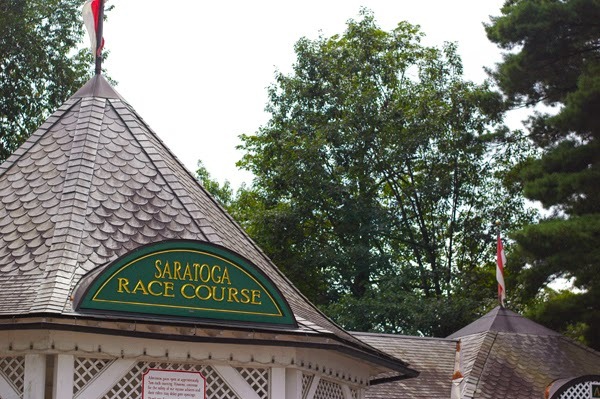 Saratoga looks beautiful! I completely agree that sunscreen video is incredible. I can't get over what it looks like when people put sunscreen on. Sign me up!